These days the Internet has adverts to “Buy waste oil.” These ads can cause some confusion and raise a number of questions. For example, why collect waste oil, which seemingly cannot be used as intended? Let’s try to understand. In most cases, these ads are from people or companies involved in regeneration of waste oil. The regeneration in this case is the restoration of operational properties of oils for their further practical use. It means that the product returns to the operation cycle from which it came, or is applied in new operation. In fact, the authors of the “buy waste oil” ads do business and simultaneously reduce environmental pollution by recycling waste oil products. If you decide to get involved in this business you need to know some details. The first step would be to purchase oil tanks for waste oil storage. GlobeCore is happy to help the starting entrepreneurs. We will manufacture custom-made containers of various sizes, depending on the oil collection rate that you can organize. You also need to purchase a vehicle to transport the oil to storage. Next step is the development of connections with business owning oil-filled systems. These can be power companies, heat and power stations, factories with refrigeration equipment, etc. Almost any oil needs regeneration: transformer, turbine, industrial oils. But we must remember that oils must be collected separately, because mixing can significantly complicate subsequent regeneration. A weekly collection gives a rapid return on investments. And now for the most important part. The “heart” of the business will be an oil regeneration unit. It defines the quality of the resulting product and the profit from selling it. CMM-R. Oil restoration is a result of different techniques, including adsorption by Fuller’s earth. It cleans and lightens waste oils, restoring their important performance parameters. The sorbent is reactivated directly in the unit, and the oil is regenerated continuously: you earn money every minute. UVR. These units use a special sorbent. UVR main advantage is their versatility. 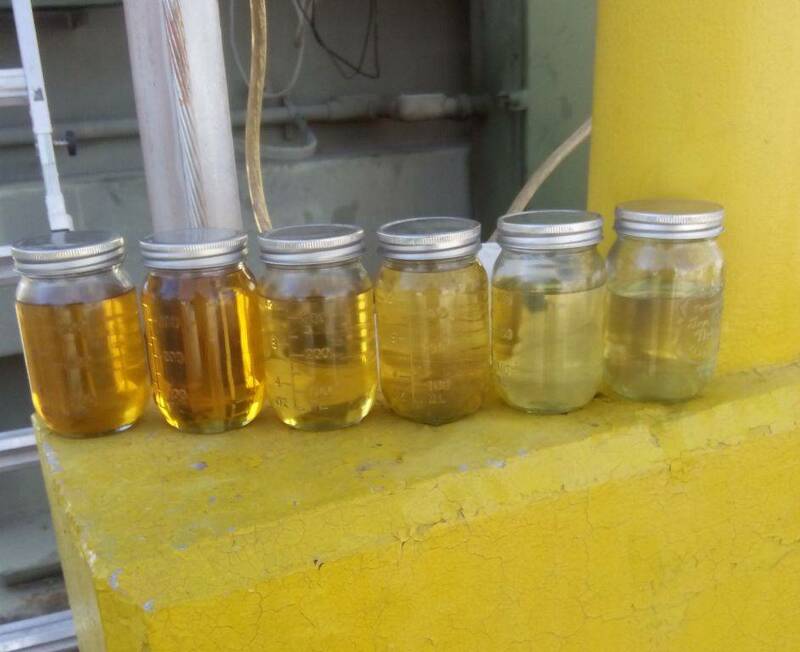 In addition to purifying waste oils, UVR units can also purify, filter and lighten diesel fuel, gasoline, gas condensate, kerosene, etc. Unlike the CMM-R units, they do not reactivate sorbent. UVR and CMM-R units together or separately can fully cover the waste oil regeneration needs of a business. Depending on processing volume, you may need to buy more units for increased capacity. After the oil is regenerated it can be sold to producers of oil. They use it as a raw material for fresh oil production by adding the necessary additives. Here, GlobeCore can help too. A USB unit provides a high-quality mix of oil products with additives in accordance with a given formulation. The oil mixture does not separate for at least 180 days.